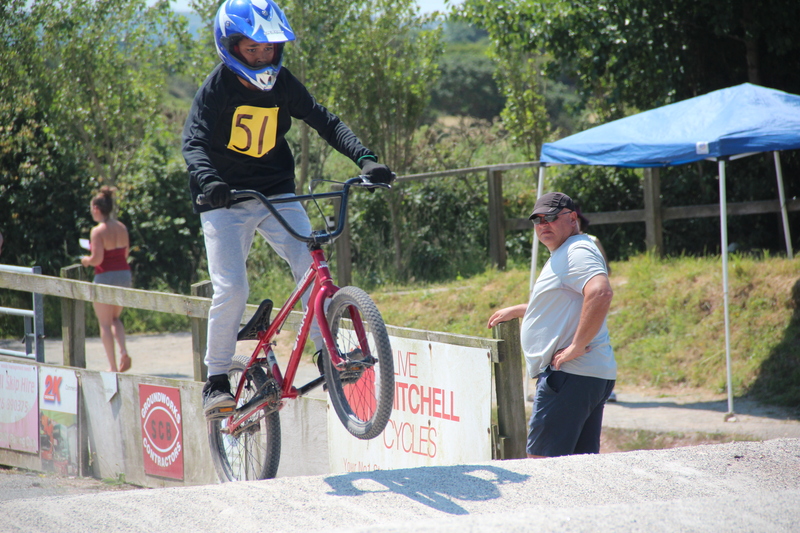 On Friday 29th June, 16 of our keen students were invited to Blackwater BMX Centre to compete in the Cornwall School Games. The day started with a brief stop at Carn Brea Athletics Track for the annual opening ceremony. Over 2500 students from across the county were present. The opening ceremony included speeches from local professional sportsmen and woman, dances by local college students and the handing out of the Cornwall School Games banners. After the opening ceremony we made our way to the BMX centre. Once the students had their safety briefing they were free to have 10 minutes practice time on the track. With each practice lap, the students gained more and more confidence. In addition to this our students were massively inspired by the help and demonstration by the world number one female BMX champion who took a personal interest in helping our year 7 girls. Overall, the day was a huge success! We placed 2nd based on the points scored throughout the day by the competitors. Congratulations to all of the 16 students who took part in particular our stand-out performers Taye, Remi and Ryan. A big well done to James (Year 9) who won the overall individual event after winning all of his race heats.